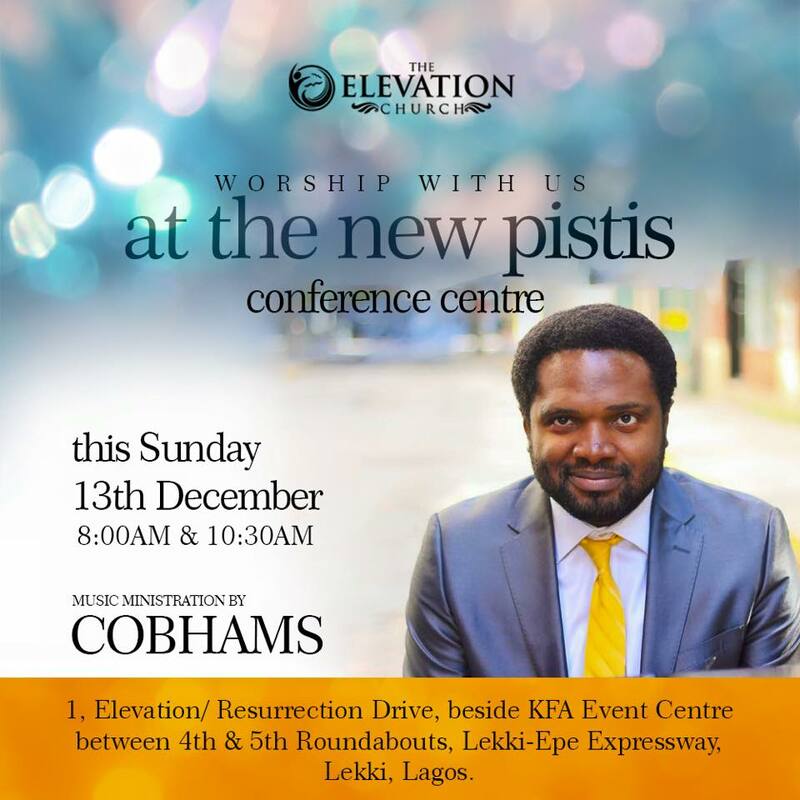 Godman Akinlabi's The Elevation Church will be worshipping at its new site - The Pistis Centre - today, 13th of December 2015. 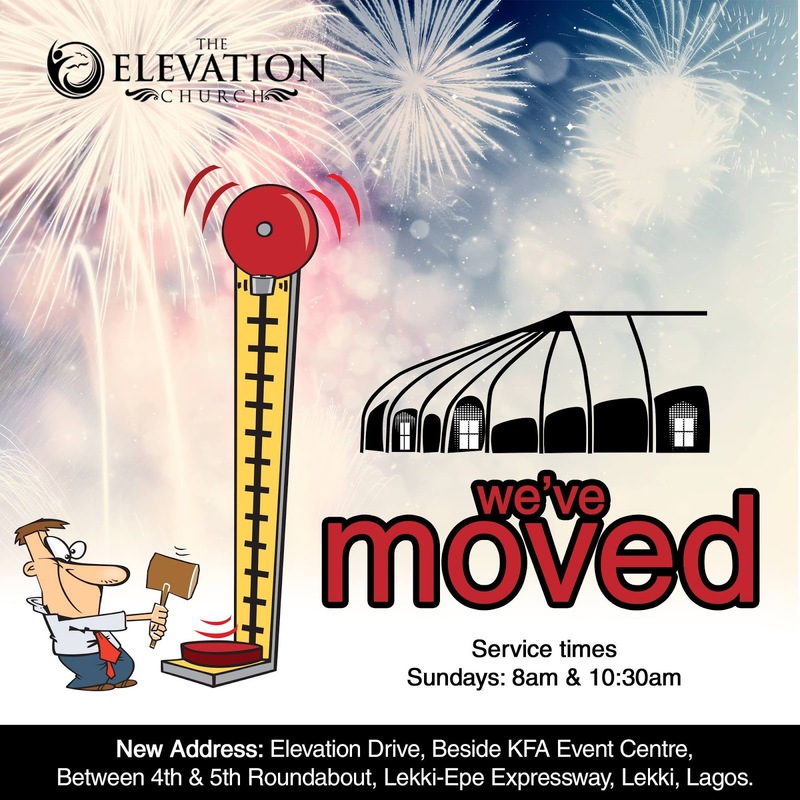 The Pistis centre is located beside KFA Event Centre, Between 4th and 5th Roundabout, Lekki-Epe Expressway, Lekki, Lagos. The Elevation church journey began 5 years ago on the 10th of October 2010. In the early days, services were held at Magnolia hall, City Mall, Onikan, Lagos. Within a year, we moved into the PISITS centre located at No 3 Remi Olowude Way, By 2nd Lekki Roundabout, Oniru, Lekki, with crowd capacity of 750. In the course of 4 years, we have grown in leaps and bounds. To ensure adequate accommodation as a result of this growth, we increased number of service to four services. Still it became clear that we were bursting at the seams. 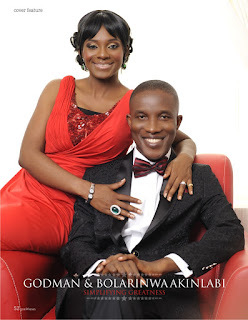 To remedy this, we made plans to relocate to the New Pistis Centre! Located at Elevation Drive, Beside KFA Event Center, Between 4th & 5th Roundabout, Lekki-Epe Expressway, Lekki, Lagos, the sprung structure at the New Pistis Centre stands at 14.6 meters high, 67.8 meters long and an impressive width of 36.5 meters. With architectural aesthetics of a spaceship, the sprung structure also houses our junior church, and the main auditorium is built to accommodate a crowd capacity of 1,750. The structure is thermally and acoustically insulated to minimize noise transfer and maintain balance temperature. At the PISTIS centre, there is room for everyone including our cars as it comes with ample parking space. Also at the New Pistis, the younger church members are catered for with a fantastic junior church equipped with tools needed for proper teaching and engagement of our teens and kids. An increased capacity invariably translates to more community impact and wider reach in spreading the saving news of the gospel of Jesus Christ. 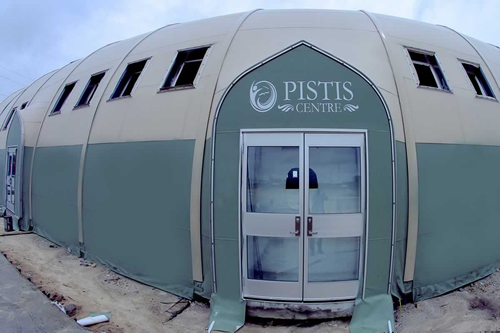 There is so much more we could share about our New Pistis Centre, but it is better experienced. We invite you to get ready with us as we move. We intend to leave no man behind. Join us.